So hard to believe the Christmas Season is upon us already. Here is my list of the best 5 Christmas apps. These are fun or functional apps that will help you enjoy the season a bit more. This hugely popular app helps you track Santa’s sleigh as it makes it’s way around the world. There are also videos and mini games included to add to the fun. Red Stamp is a great app for making Christmas cards. Use one of the many card templates and customizations available, both free and bought in app, to make your cards. Or choose to upload your own pictures and text to make them a one of a kind creation. After creating you can either pay to mail a paper card or download, email and share your creation. What better way to add some fun to the Holiday Season then turning yourself and others into elves. Just select pictures on your device, and one of the available themes and the app will turn you and loved ones into dancing elves. The video can then be downloaded or shared on your social media sites. This App is perfect to keep track of all of those on your gift lists. The basic app allows you to keep track of who you are shopping for, what you have bought for each person and make a wish list. The paid version adds the option of scanning barcodes. This is by far my favorite app for children. If you have a child in your life and you want to share the magic of Santa with them I urge you to try this app. These are my favorite apps. I would love to hear about yours. Please add any I have missed in the comments below. I wrote post as part of my involvement with Verizon’s #VZWBuzz blogger program. opinions are my own and in no way influenced by this partnership. Can you believe it’s time to head back to school already? You have bought your new devices, now to add the apps. Choosing the right apps can make you more productive as a student, but, can be very confusing because there are so many. Below is my list of of some great ones. Evermote is the best app I have found for student productivity. This app makes it easy to take notes, record voice reminders, create to-do lists and even save things you find online. The app also will sync to all your devices. The app is free on both iTUNES and Google Play. If your one who needs flash cards to study one of these apps will be perfect for you. SuperCards is for android devices and Flashcards+ is Apple compatible. Both apps let you make a two sided virtual card with all of your needed info. Use these to quiz yourself and focus on the learning your review info instead cutting out cards. – Local look-ups – take a look at the words searched by location”. If you are still searching for devices for back to school you may want to check and see what Verizon Wireless has to offer. These are just a few of the best back to school apps. Do you have a favorite? I would love to hear about it in the comments below. If you are still searching for devices for back to school you may want to check and see what Verizon Wireless has to offer. I am writing this post as part of the Verizon Wireless Lifestyle Bloggers program. Being part of the program does not in anyway influence this post in anyway. All thoughts and opinions are my own. October is Domestic Violence Awareness month. I am a survivor of domestic Violence. I shared my story here. This story took place over 20 years ago. Since then I have prided myself on how far I have come. I have been a proud survivor. I have repeated over and over that I am a survivor and never going to put myself in a position to be abused again. Today I sit and thank God I have come as far as I have. Since I left my abuser I have remained very close to his family, after all they are my daughter’s family also. In the last year and a half of his mother’s life I was there to help take care of her. When she passed away I worried about what would happen but I was told abuser wanted to let me stay there with the boys, and even had it on paper. Things seemed to be OK for over a year, I even had roof replaced so I had a place for the boys. For the last few months I have seen signs of a change, to the point of feeling the need to add a voice recorder and the app. Circle of 6 on my phone. I recorded several times when he came into the house and was looking for an argument. Anything he said that was out of place I have saved on my phone and several other devices. This weekend I went to NYC for some social media work. I received a call from him. He was flipping out. I told him to leave me alone. While I was gone my daughter messaged me and said he had a crazy spell and went into the house and messed up/destroyed things. This is my new HTC one9 that I was so excited to get to try out. This is an abuser. An abuser will take and destroy the things they know you need and want the most and destroy them. I called the police. I did not fear him. I took away the right for him to cause fear in me. Many in domestic violence situations have been so abused, emotionally and physically, that they can’t fight back. I look at where I was all those years ago and look at where I am now. I know how far I have come. I may be looking for a new home. I may have been victimized but I had in place ways to stop it. I can not tell you how important my phone has been to me. A hidden phone in the hands of a victim can mean the difference between life and death. You can help make it happen. 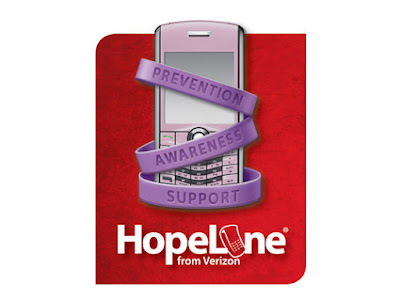 Since the launch of Verizon Wireless’s Hopeline, in 2001 the stats on the number of victims who have received a lifeline are incredible. Please, If you have a phone laying around donate it. If you have a friend you are worried are a victim, let them know you are there for them, tell them about Hopeline and encourage them to download the app Circle of 6 on it. Recently I went to check out the newest Verizon Wireless Destination Store in Boston. While there Verizon Wireless Surprised us with a very generous gift card. Because they are so much easier and lighter, I used mine towards a purchase of a new tablet. As with any new device, I went shopping for Accessories. Below I am sharing my 5 favorites. 1: Fintie Blade X1 Samsung Galaxy Tab 4 10.1 Keyboard Case Cover. I love this case. It has a magnetically detachable keyboard that ranges up to 10 meters The slim design adds protection without the bulk. This is one of the best keyboard cases for SGT4.The keyboard is real “hard” laptop style, made from high quality ABS material. Ultra slim design adds maximum protection with minimal bulk. Ultra-slim design case adds maximum protection with minimal bulk. Adjustable stand securely holds your Tab 4 10.1 in landscape mode. Durable PU leather cover with soft, microfiber-lined interior. Premium polycarbonate shell locks your tablet in place and absorbs drops and bumps. I think this is a must have for your tablet. There are 3 multi ports, perfect for your mouse, flash drives and more. You also have 2 USB spots, one full sized for your computer and the other a micro, Handy for a tablet or phone. Then there is the full size SD slot. They even include a SD card adapter to read your Micro SD card. 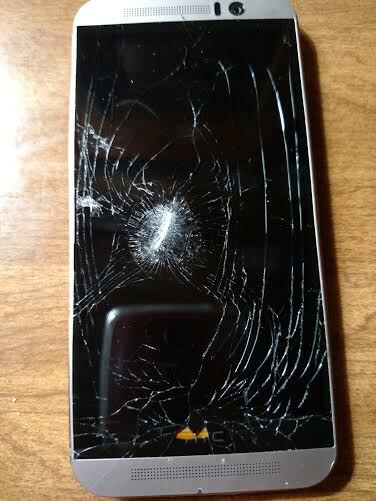 Your new gadgets are not so exciting with a cracked screen. 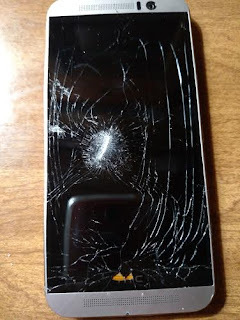 This is why I choose InvisibaleShield for all my devices. These screen protectors are made with material designed by the U.S military to protect helicopter blades from dirt and debris. Anyone that has stood around a helicopter knows how much dirt gets spun around by the blades. Given this fact you would assume the material is thick, but in fact it is very thin. The finish is not matte textured, like so many other shields, and therefore gives you a much more clarity. IAfter hearing so many great things about the movie I decided to head to the Verizon Wireless website to order one. 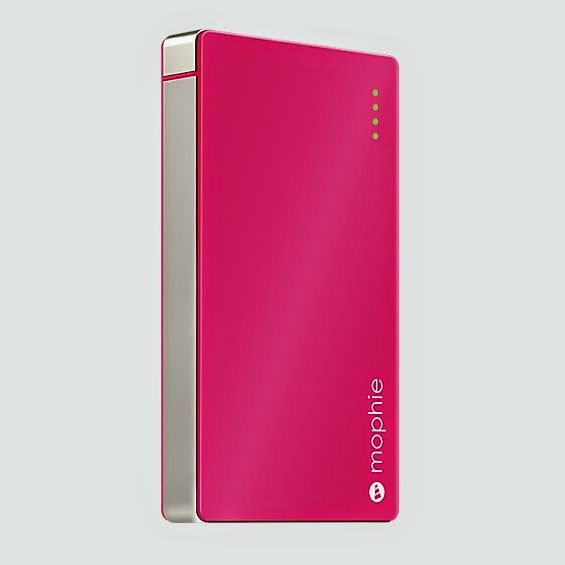 This powerstation has a quick charging 4000 mAh battery, and come with higher power batteries if you need it. This easily charges your smart phone, tablets and more. The weight is a bit heavier then some of it’s competitors, perhaps it’s because of the power it is packing. It takes a while to charge, but with a full charge you can count on it being ready when you need it. This is such a handy gadget in the car. Like most people, my electronic device has also become my GPS. This accessory will keep your tablet just where you need it. 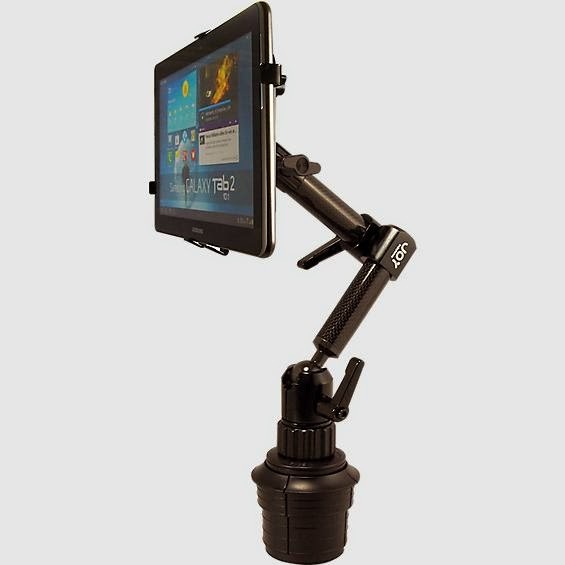 It will hold all 7″-12″ tablets and the adjustable base works perfect in all standard cup holders. This mount is very lightweight and made with a carbon fiber that also makes it very strong. Not only is it perfect to hold your device as a GPS but it works great when your passengers want to watch videos. I have been having so much fun playing with the tablet and looking for new gadgets to go with it. If you know of a must have accessory for a tablet please let me know in the comments below. Though I work with the Verizon Wireless lifestyle Bloggers team all info and opinions below are my own. This post was very hard for me to write, I started it several times and had to stop. As many of you know from a past post, I am a survivor of domestic violence, Domestic violence can strike any household, it does not discriminate. As you can imagine the Holiday Season often sees an increase in cases of domestic violence. Every risk factor comes into play during the season, money is tight for some, parties and celebrations that involve alcohol. The emotional stress of wanting to provide a fun, festive time for children living in a home of domestic violence often becomes the focus point of those partnered with an abusive person. Shortly after Christmas last year I attended a candlelight vigil for Hillary Saenz, a 29 year old who was killed Christmas day by her abusive partner. The last words she heard from her children was them begging her partner to please not fight because it was Christmas. On Dec. 20th the small county I live in was hit again with a Christmas tragedy. 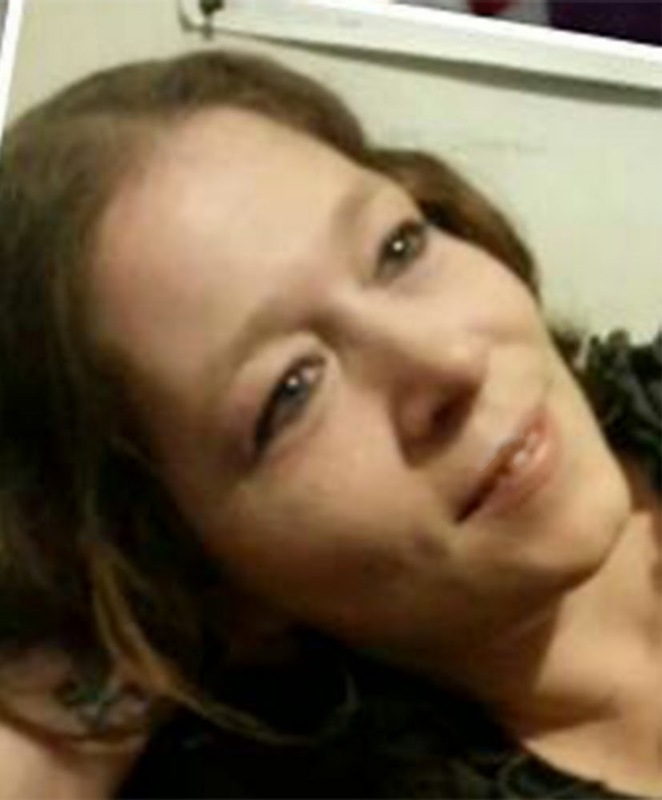 The woman who was found slain, along with two of her children, was trying to escape an abusive relationship. 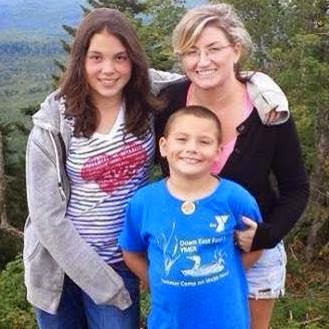 Christina Sargent was 36, her children only 8 and 10. His reason for killing the children was because, as they were screaming,while seeing him strangle their mom, he realized they were witnesses. Women are much more likely to be victims of intimate partner violence with 85% of domestic abuse victims being women and 15% men. 3 woman in the US are murdered everyday by a current or former partner. Nearly one in four women, one in seven men & more than 3 million children in the United States are affected by domestic violence. There is a simple thing that you can do that may help a victim of domestic violence not become a statistic. Verizon Wireless has a program called Hopeline. It is the perfect for those who received a new phone this Christmas. “HopeLine phones are refurbished phones that are equipped with 3,000 anytime minutes of airtime and texting capabilities. They come with Verizon Wireless Nationwide Coverage, Call Forwarding, Call Waiting, 3-Way Calling, Caller ID, Basic Voice Mail and texting. HopeLine phones are available to survivors affiliated with participating domestic violence agencies. Erase any data from the phone and disconnect the device’s service with your wireless provider. Remove any storage cards (microSD, etc.) and SIM cards from the phone, and be sure to include any travel chargers or other accessories that came with the device that you no longer need. Turn the phone’s power off. Make sure the phone’s batteries are installed in the phone. Please do not include any loose batteries. 5.If you’re mailing in the phone and accessories, pack them up and seal the package securely. Print out the postage-paid label (with your return address filled in) and attach it to the box or envelope. Then, just drop it in the mail. I am a member of the Verizon Lifestyle Blogger Program. Though this post is written as part of the program all opinions expressed are my own. 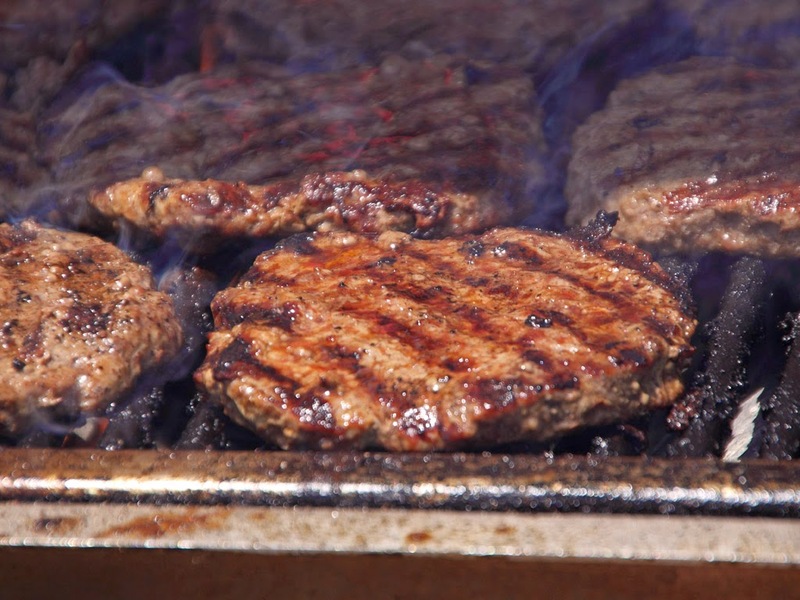 It seems there is an app for everything, and cooking on the grill is no exception. I recently went searching for some apps to load load on my Droid Motorola Maxx. I quickly found out there are tons of them, but, I think following 5 apps will help you take your outside cooking to a whole new level. If you find a great one that is not listed please feel free to share below. This app has to be #1 on the list because it is so informative. It will start you out with the basics, starting out with how to light a charcoal fire and how to prepare and turn your meats. It also provides some of the best recipes I have tried. Even better then just providing the recipe, when you find the recipe you want to try it automatically makes out a shopping list. If you find a favorite recipe there is a share option that makes it easy to pass it on to your friends through email. This app is pretty self explanatory. All you have to do is select your meat and the thickness and GrillTime will set a timer, tell you when to flip and notify you when it’s done. Perfect for those who don’t want to be a slave to the grill. Filled your grill? Don’t worry you can set this for more then one kind of meat. “The Pit Pal is an all-inclusive BBQ app for your Android mobile device. It was built with the end goal of being able to help produce more consistent BBQ for backyard cooks, competitors, as well as caterers and restaurateurs. The Pit Pal enables more consistent BBQ through the use of historical tracking of cooks and results taking into account common BBQ variables such as the temperature and duration of the cook, or the sauce/rub combination, or even the type of wood used or the weather at the time of the cook. Tracking these variables allows the pit master to look back at previous cooks and continue to cook and tweak variables until the perfect combination is hit. And then have the data to replicate that combination at any time. If you’ve ever run out of propane halfway though cooking and have a“standard” 20 pound steel propane tank this app is perfect for you. The BBQ TankMeter acoustically measures the amount of propane in your tank. Believe it or not, this app works by holding your phone 6 inches from your tank. When you tap the “Test” button a display message will come up saying “listening for the tank”. All you have to do now is strike the center of the tank with your knuckle or a spatula. The tank will then display the message “Reading Tank”. The results will then be displayed and tell you just how much propane is left in the tank. No grilling/BBQ top app list would be complete without some great recipes and the Grill-It! app has plenty. The app will help you make everythign from meats and seafoods to the meal starters and veggies. New recipes are added regularly and they notify you when they are. Hope you enjoy these apps, and happy grilling!!! On A recent gathering of Verizon Lifestyle Bloggers in NYC we were gifted the Bose SoundLink Mini. This Speaker has proven time and time again that great things do indeed come in small packages. Bose, a company who is well known for their high quality speakers has raised the bar on bluetooth speakers. Here are just a few reasons why this speaker is the perfect summer accessory. The size and weight of this speaker is perfect for throwing into your bag and going. It measures just 2×7.1×2.3 inches and weighs just 1.5 pounds. Just don’t be fooled by the speaker’s small size. The sound that comes from it is impressive to say the least. The sound that comes from this little speaker is easily compared to much bigger plugged in speakers. The speaker is solid with the metal and aluminum shell but if you want to protect it even more you can purchase it’s optional soft cover for just $24.99. 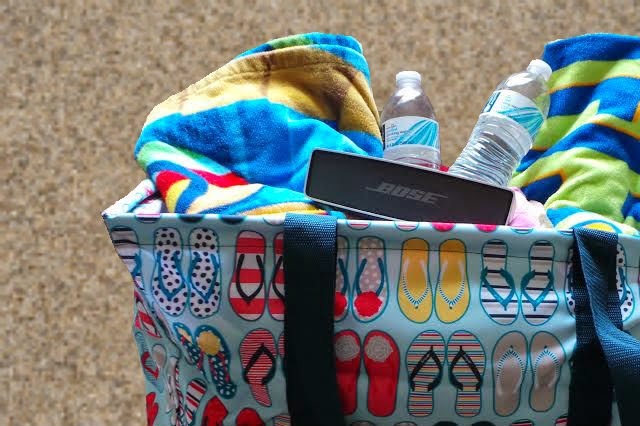 Your SoundLink Mini can be brought along on all your summer adventures. After fully charging you are ready to bring listen to your favorite tunes for up to 7 full hours. The Mini is charged though it’s own charging cradle, not a micro USB port like many other Bluetooth speakers. The SoundLink is great for a day out with your friends. It can remember 6 different Bluetooth devices which makes it perfect for all your friends to bring their favorite tunes. Though the price of the speaker ($199) may seem a bit expensive, I think this is a case of you get what you pay for. The Sound of this speaker is unlike any portable Bluetooth speaker I have tried to date. I think the size is perfect for portability and would recommend it to anyone.